A smalltown cop comes to terms with the death of his mother in Jim Cummings’ poignant study of grief. There’s something inherently funny about the sight of a grown man in a police uniform struggling to change the batteries in a Hello Kitty boombox. In choosing to open Thunder Road on this juxtaposition of soft feminity and authoritative masculinity, filmmaker Jim Cummings sets out his stall right from the start. 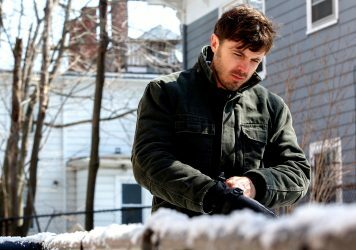 Adapted from Cummings’ Sundance Grand Jury Prize-winning short of the same name, the film focuses on Texan police officer James ‘Jim’ Arnaud (played by Cummings) as he struggles to come to terms with the death of his mother. The first scene sees Jim give a disastrous eulogy at her funeral, in which he attempts to honour her memory by performing a dance set to one of her favourite songs, Bruce Springsteen’s ‘Thunder Road’. 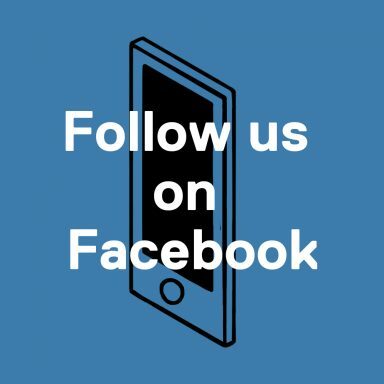 The monologue spills out of Arnaud between sobs, chaotically pivoting between anecdotes about their rocky mother-son relationship to garbled observations about life more generally. As Cummings’ lens slowly zooms in on him, Arnaud all falls apart – foreshadowing the way in which grief is about to disrupt his life more than any ill-planned funeral dance. From there we see Arnaud’s try to bond with his young daughter Crystal (Kendal Farr) and parry with his estranged wife Ros (Jocelyn DeBoer). Marked by his own poor relationship with his father, as well as the recent loss of his mother, Jim is determined to be a good dad. His bonding attempts with Crystal are earnest, but he’s as blindsided by the intricacies of pre-teen life as he is his wife’s announcement she intends to divorce him and seek sole custody of their daughter. Meanwhile, life on the force proves gruelling for Arnaud, who isn’t coping well with… anything. His concerned partner Nathaniel watches from the passenger seat as glimpses of their lives as beat cops in smalltown Texas hint at a community riddled by problems bigger than death and divorce. There are no easy answers on offer – in fact, things end on a slightly melancholy note – but Thunder Road is a fascinating character study, grounded in Cummings’ energetic performance as the tailspinning Arnaud. His inability to express his emotions in a healthy manner threatens his relationships and livelihood – through gritted teeth and a clenched jaw, he tries to fight the overwhelming tidal wave of grief that constantly seems on the horizon. The beauty of Cummings’ film lies in its deft understanding that life itself is often a farce, blending comedy with tragedy until you’re unsure if the tears welling in the corner of your eyes are from laughter or sadness. Cummings is an emotive actor without pretence – having lived with Arnaud for so long makes his portrayal engrossing, but more than that, believable. 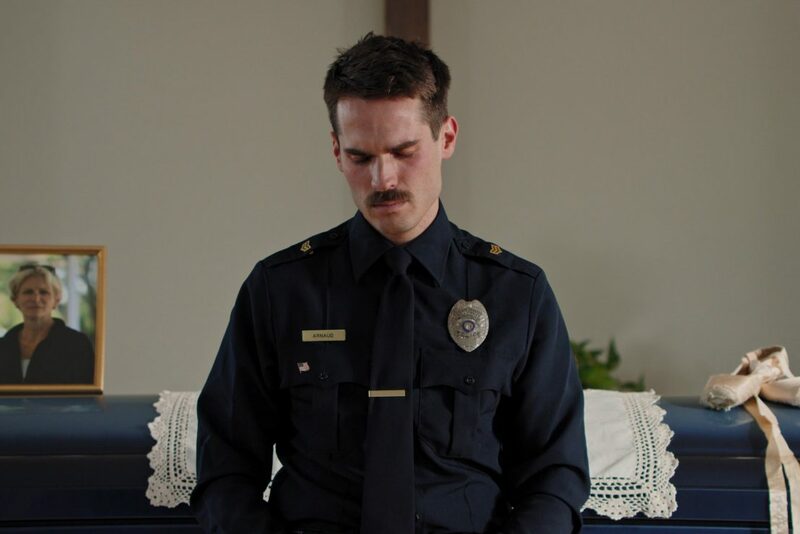 Emotional but unable to express himself in a constructive manner, Arnaud is a prime example of how flawed the binary concepts of masculinity and feminity are, and Thunder Road is a poignant examination of how messy and unromantic grief really is. 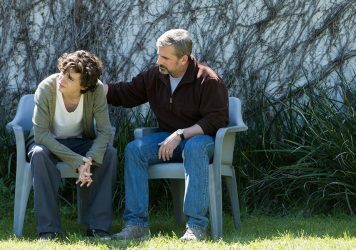 Timothée Chalamet delivers a heartbreaking turn as a meth addict struggling with relapse and rehabilitation. 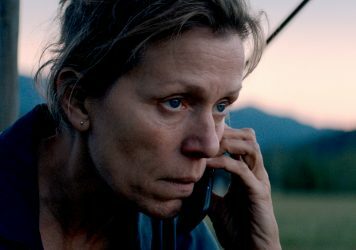 Frances McDormand goes on the war path in director Martin McDonagh’s sensational latest.